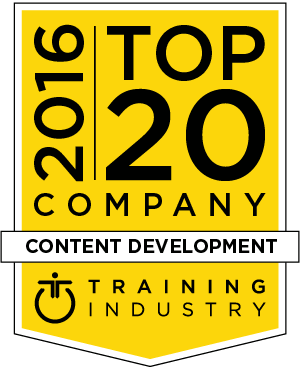 This list recognizes the 2016 Top 20 Content Development companies in the training industry and is designed to help buy-side organizations in their search for the right training partner. As part of our commitment to continuously monitor the training marketplace for the best providers and services we announce the 2016 Content Development Companies Watch List. This list recognizes companies from all over the globe that provide content development services. The 2016 Content Development Companies Watch List is intended to help buyers of training services evaluate learning portal providers. Indecomm Learning has partnered with global enterprises to design, develop and implement over 40,000 hours of learning content. Their repertoire of learning solutions includes web-based learning, instructor-led learning, mobile-based learning, blended solutions, content migration and localization. IMC is the leading full-service provider for digital training. Experts in the areas of training strategy, learning technologies and e-learning content work together as one to provide holistic and tailor-made e-learning solutions.